Geneva (Switzerland) 17 October 2018 – In the margins of the 69th annual meeting of the Executive Committee of UNHCR, the Refugee Agency, that took place from 1-5 October, around 70 people representing States, UN agencies and civil society organisations gathered on 3 October at the Palais des Nations in Geneva to discuss the main findings of a forthcoming UNHCR-commissioned study which examines protection provided to people displaced across borders in situations where climate change/disasters and conflict/violence interact. 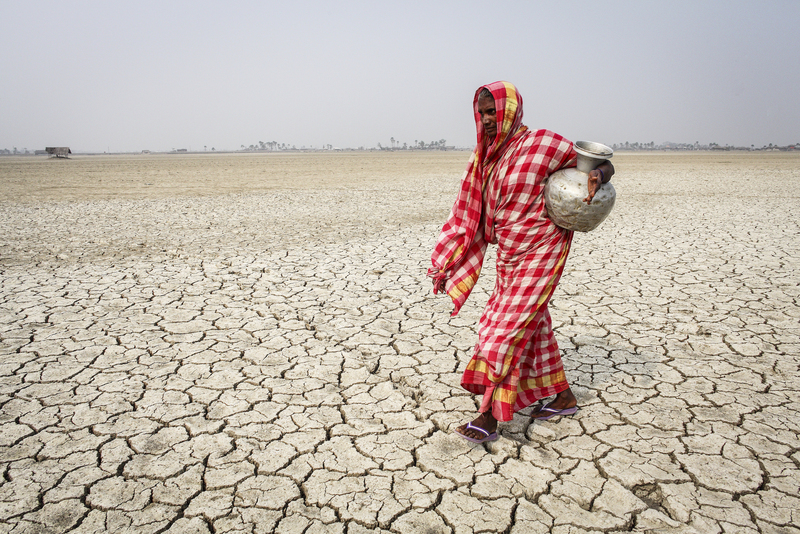 As the adverse effects of climate change increase the frequency and intensity of natural hazards, scientists anticipate that, over the coming decades, unprecedented numbers of people will be displaced from their homes by sudden onset disasters; such as cyclones and floods, and slow onset events; such as droughts and sea level rise. 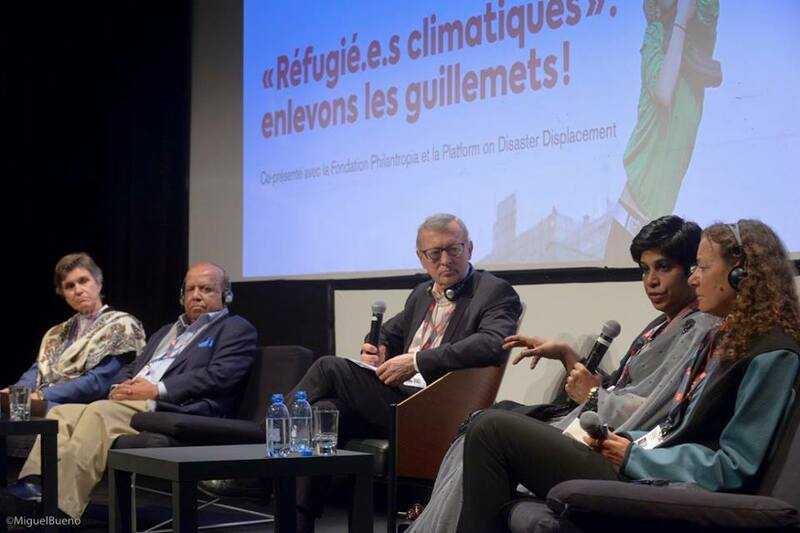 Recent history has borne witness to tens of millions of people displaced by disasters on an annual basis, some of them across borders in situations where conflict and violence interact with disasters and climate change. These persons have diverse protection and assistance needs. 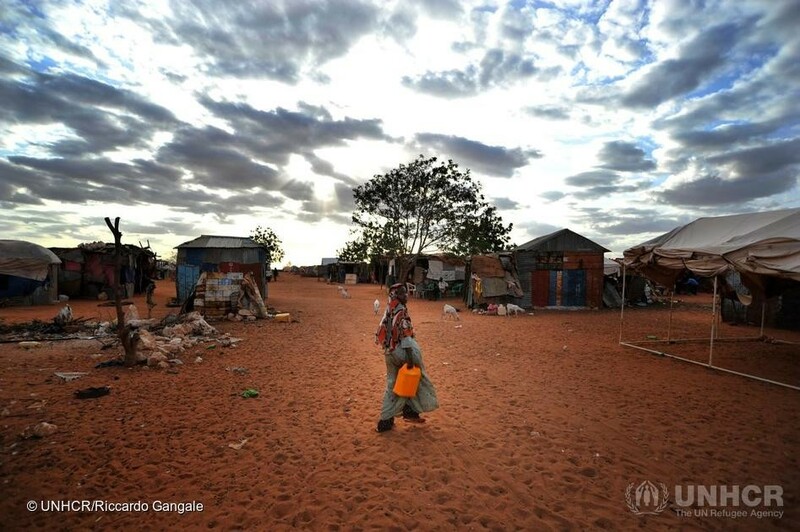 To better understand the interplay or nexus between climate change, conflict and displacement, in 2018, UNHCR, with the support of the Swiss Ministry of Foreign Affairs, has undertaken a study examining the provision of international protection based in refugee law by four destination countries in the Horn of Africa and the Americas in the context of ‘nexus dynamics’. The study analyses the responses of Kenya and Ethiopia to the Somali famine in 2011-12 against a backdrop of protracted conflict, and the responses of Brazil and Mexico to the 2010 Haiti earthquake that exacerbated pre-existing State fragility. This ground-breaking study aims to discuss policy and practical solutions to strengthen international responses to cross-border displacement in the context of nexus dynamics. The side event, held during the UNHCR’s Executive Committee meeting, saw a presentation of the key findings of this study, and stimulated a lively discussion on State responses to nexus dynamics based in international protection. The panel, moderated by the Director of UNHCR’s Division of International Protection, Grainne O’Hara, included Mr. Philippe Besson, Head of the Division for Multilateral Affairs, Federal Department of Foreign Affairs, Switzerland, Mr. Atle Solberg, Head of the Platform on Disaster Displacement (PDD) Coordination Unit, and Ms. Sanjula Weerasinghe, UNHCR Expert Consultant and author of the study. Key takeaways from the event included that refugee legal frameworks can and do play an important role in States’ responses to the protection needs of people displaced by violence and conflict, where these phenomena interact with climate change and disaster. It was noted that appropriate guidance and strategy can positively shape international responses to cross-border displacement in the context of nexus dynamics. At the same time, more support to capacity development could help ensure access to robust refugee status determination processes when the most visible factor triggering displacement is a disaster. Another key recommendation was that refugee frameworks should form part of a toolbox on international protection measures, among other legal mechanisms available to States. 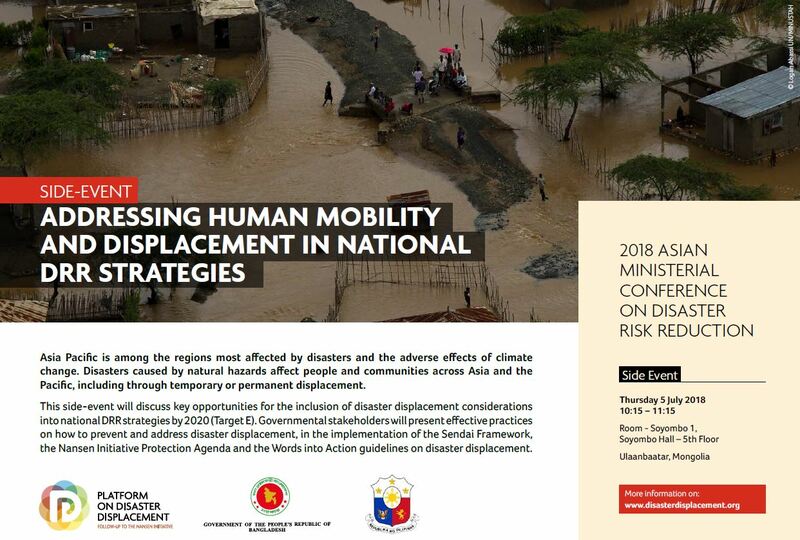 These efforts can be taken forward in the context of implementation of the Global Compact on Refugees and the Global Compact on Safe, Orderly and Regular Migration, which together constitute a solid and comprehensive framework from which to address climate change and disaster displacement-related challenges. UNHCR’s study supports PDD’s ongoing work to address persisting knowledge and data gaps relating to cross-border disaster-displacement, and their efforts to enhance the use of identified effective practices in this area. During the event, Mr. Atle Solberg noted importantly that, even in cases where a disaster does not itself constitute grounds for refugee status, its effects might through the creation of international protection concerns. Moreover, some regional and national legal frameworks contain broader refugee criteria, which may encompass people fleeing in disaster situations, such as the 1969 OAU Refugee Convention, as well as 1984 Cartagena Declaration on Refugees which cite, ‘events seriously disturbing public order’ in their definitions of a refugee. Finally, if people apply for refugee status but do not qualify, States may still provide them with protection in the context of a disaster displacement dynamics. Overall, this event helped to explain how refugee law is relevant in nexus situations where conflict and violence interact with disasters and climate change, and highlighted the need for further analysis and guidance on applicability of international refugee law in the contexts of climate change and disasters. UNHCR remains firmly committed to further engage with PDD, States and other partners to further develop knowledge in this area and ensure all stakeholders are better equipped to address this challenge.